The base photo is that of an infantry squad just west of Stalingrad in October 1942. Their unit is preparing to move into the city, probably for the first time. 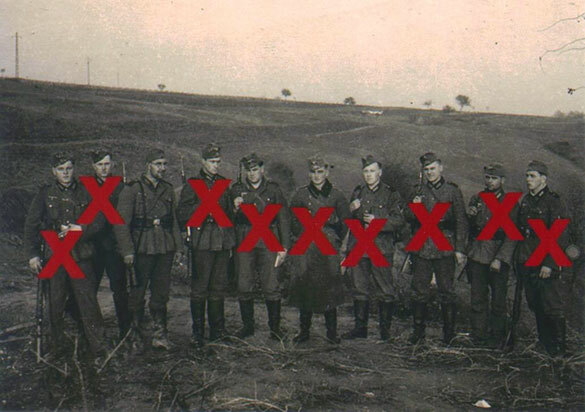 I have added the red Xs to the photo, indicating that in the aggregate, nine of every ten men going into Stalingrad would become casualties of one sort or another.